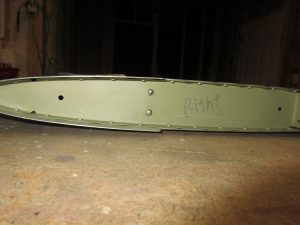 I was relieved to have finished off all the rivets that needed to be set using a rivet gun and bucking bar. I am very happy that the skins turned out looking perfect and I didn’t dish or dent the skins. These are going to paint up really nicely, and hopefully be show quality! Then I turned to the inner HS-00005 and HS-0005 ribs. 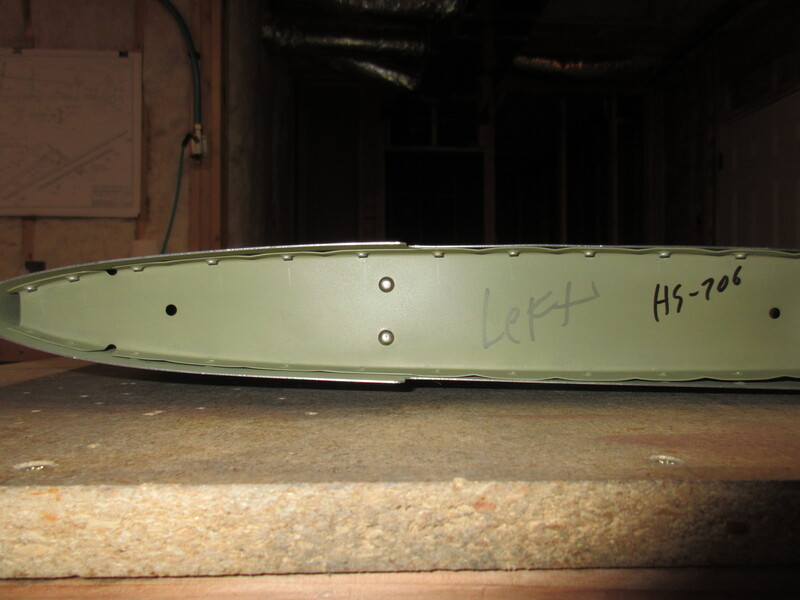 Like I did with the HS-706, I started from the leading edge and worked my way back to the trailing edge. They also turned out really nice. Once I had both sides done, on top and bottom, I decided to call it a night. 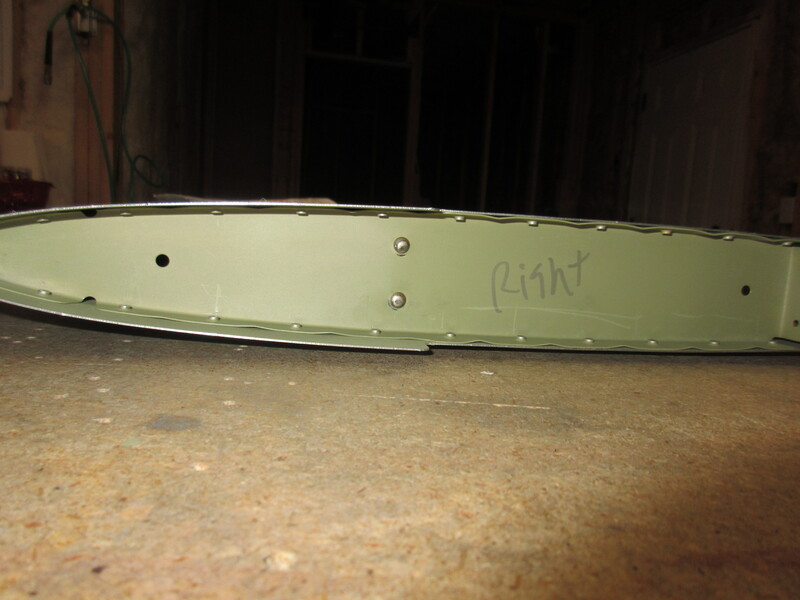 I will leave the rear spar off until I can get the EAA Tech Counselor to come out and take a look. 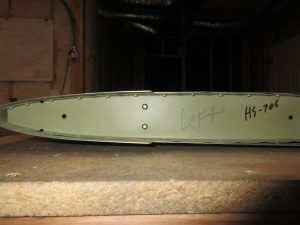 With the rear spar off, they can peak down into the horizontal stabilizer and verify all my rivets look OK. Once they have signed off on my work, I will rivet on the rear spar using the squeezer.